The show notes to go with Show 121 of our technology radio show. PI 3 Released: The Raspberry Pi 3 has just been released. It adds built-in wi-fi and Bluetooth and is 1 and a half times faster than the previous model, boasting a 1.2GHz processor. Price, a mere £27, but note that you may need to upgrade your power supply to one that can handle 2.5 amps, to cope with the more powerful board. Outlook 2016 Deletes Mails: News for Office 365 users who collect their email using POP3. A new version of Outlook 2016 has been pushed to subscribers, with a bug that causes emails to be deleted from the server, preventing you from getting emails on other devices. Microsoft has apologised and is working on a fix. In the meantime, they advise you should roll back to a previous version of Outlook – Details of how to do this here: Outlook 2016 Bug – Rollback procedure. We discuss an initiative to get more girls in tech – The winner was a games controller which harnesses kinetic energy from thumb action using wind-up triggers. Runner-up projects included smart curtains, a smart fridge and a sleep monitor – spo what was different about this competition? 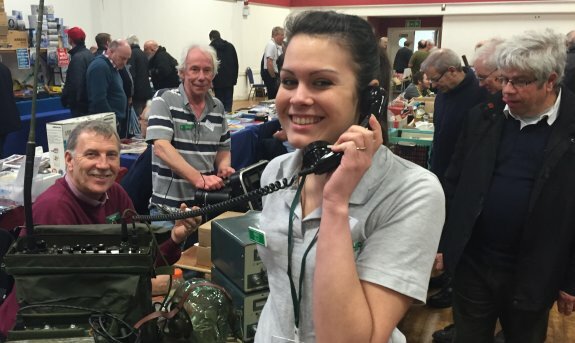 Kelly visited an electronics fair in February – did she survive, and what did you find? Scientists in America have invented flat lenses that can be used for paper-thin glasses and cameras. In a slightly related story, we looked at a set of adjustable reading glassed from Eyejusters, and spoke to Owen to find out why they’re so different. We chatted about Snapchat, the social media photo app that seems to be growing in popularity – and added a photo onto social media to see what happens! “I listen to your podcast and wonder if either you or any of your listeners can help me to resolve a thorny issue. For about 6 or 8 years now I’ve been using a Topfield 5810 PVR to record up to 2 channels for later viewing. Some of these I subsequently move onto my MacBook Pro to access via iTunes, facilitated by the USB port on the 5810, MPEG Streamclip and Handbrake software. I haven’t seen anything out there to replace my increasingly dicky 5810 (power supply replaced once already). Thanks Mel – much appreciated! “Hi Kelly and Pete. I recently contacted you about when the Motorola G 3rd Generation would receive the new Android 6.0 Marshmallow system Update. On the 13th of February, my Motorola G 3rd Generation was promoted that Android 6.0 Marshmallow system update was available to download and install. I have done the update but I have not yet had much time to try out the many new features that Android 6.0 Marshmallow bring to the Android party but I have noticed that the camera interface is slightly different and that the lock screens time and date are in a bigger and bolder font. Also Android 6.0 Marshmallow seems to run more smoothly. So far with the limited time that I have had using Android 6.0 Marshmallow I am impressed and looks like an overall improvement on the previous Android 5.1.1 Lollipop. Thanks for the mail – No news ey on just what’s in store post-merger, but we’ll let you know!